Before Apple holds their special March event next week, Google is set to hold their own mystery gaming event, set to take place tomorrow on March 19, 2019. A Google Canada spokesperson told iPhone in Canada the company is “set to announce their vision for the future of gaming at the Game Developers Conference (GDC) in San Francisco on Tuesday, March 19 at 1 p.m. (ET) during a keynote address,” suggesting tomorrow’s announcements will be applicable to Canadians. 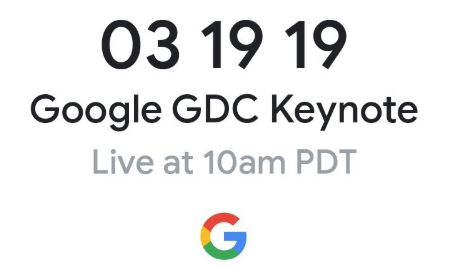 You can live stream the first-ever Google GDC Keynote starting at 10AM PDT/1PM EDT on March 19, 2019, right on YouTube of course. The Verge has a good breakdown of recent gaming industry hires by Google, with predictions tomorrow’s announcement will likely involve some sort of cloud gaming platform.